Optional Products: Right Handed, Side Panels, Trays, Waste and Riser Kit. 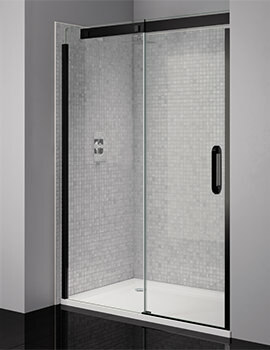 The April Prestige Frameless Sliding Shower Door integrates a minimalist look with cutting edge technology to great effect. 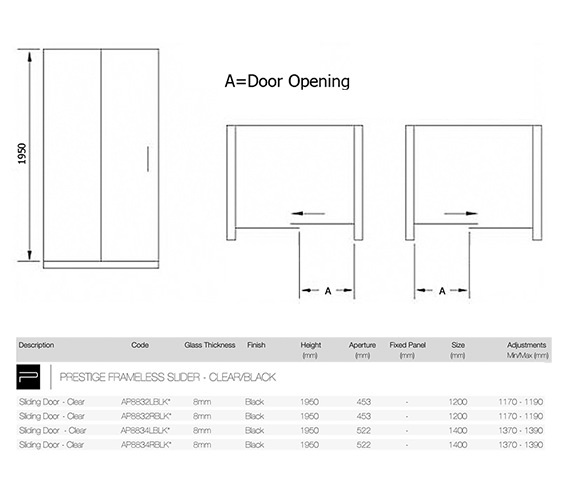 By opting for a sliding mechanism, this door does not require any surrounding space allowing the user to make the best possible use of the available space. 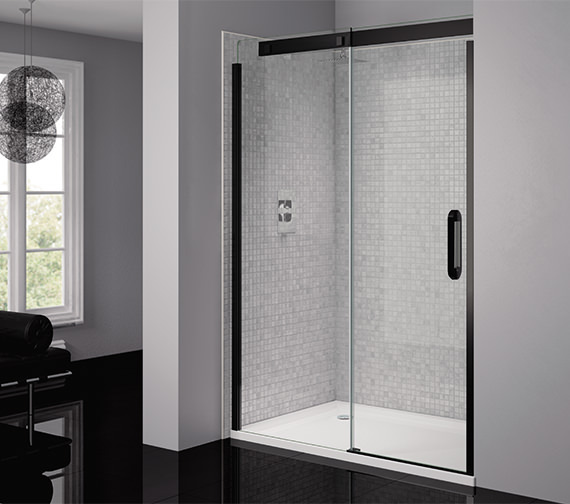 It is crafted Frameless but supplied with profile covers, and matt black handle, its presentation of metal and glass makes for a sleek, contemporary look. 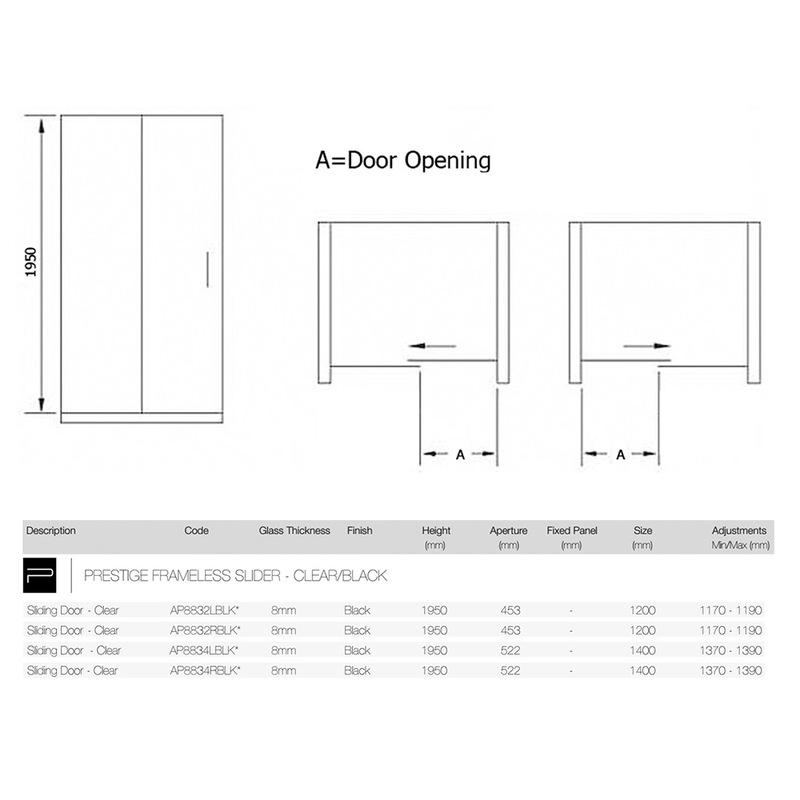 The colour matched soft close door seals ensure the door comes to a cushioned halt without any slamming sounds. 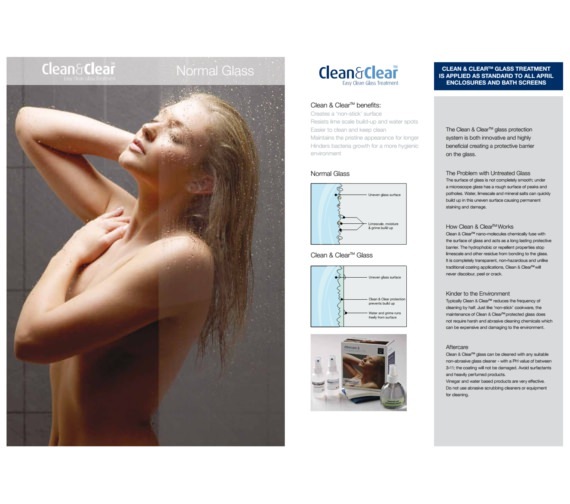 The Clean & Clear glass treatment is provided to keep the door free from streaking water droplets or lime scale, requiring hardly any manual cleaning.